The rumours were true. Apple has announced an iPad mini, “a completely new iPad design” that is 23 per cent thinner and 53 per cent lighter than its third-generation iPad. The new iPad mini features: a 7.9-inch Multi-Touch display; dual-core A5 chip; FaceTime HD and iSight cameras; ultrafast wireless performance (LTE is available through select carriers); and 10 hours of battery life (depends on device settings, usage and other factors, “Actual results vary,” says Apple). Apple describes it as “a revolutionary design you can hold in one hand”. Interesting choice of words given that this smaller iPad has been created in response to similar products from other manufacturers – is Apple acknowledging their revolutionary thinking? Schiller described the iPad mini as being thin as a pencil and as light as a pad of paper. He also announced it would come with iOS 6, which Apple announced at the same time and includes over 200 new features. Dual-band 802.11n Wi-Fi support (theoretical speeds up to 150 Mbps, actual speeds may vary). 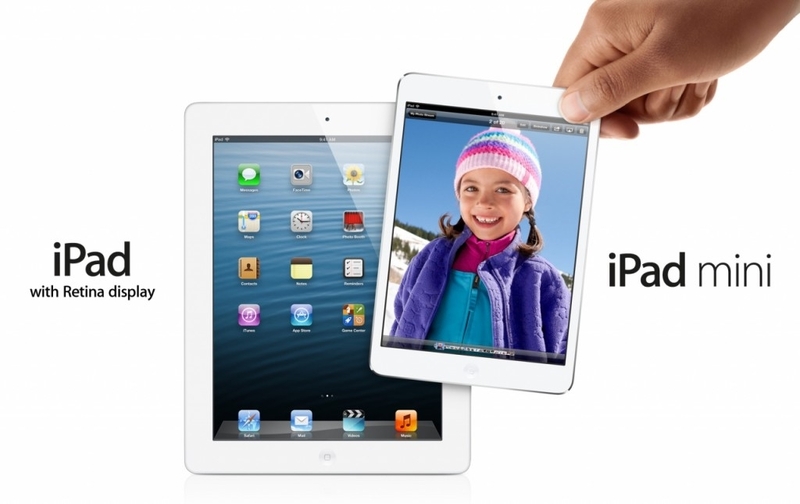 iPad mini is released in black & slate or white & silver on 2 November 2012, costing £269 (16GB), £349 (32GB) and £429 (64GB). iPad mini with both Wi-Fi and mobile phone connection will start shipping a couple of weeks after the Wi-Fi models. Wi-Fi/cellular iPad minis will cost £369 (16GB), £449 (32GB) and £529 (64GB). All prices include VAT. Pre-ordering for all models begins on Friday 26 October 2012 through the Apple Online Store.